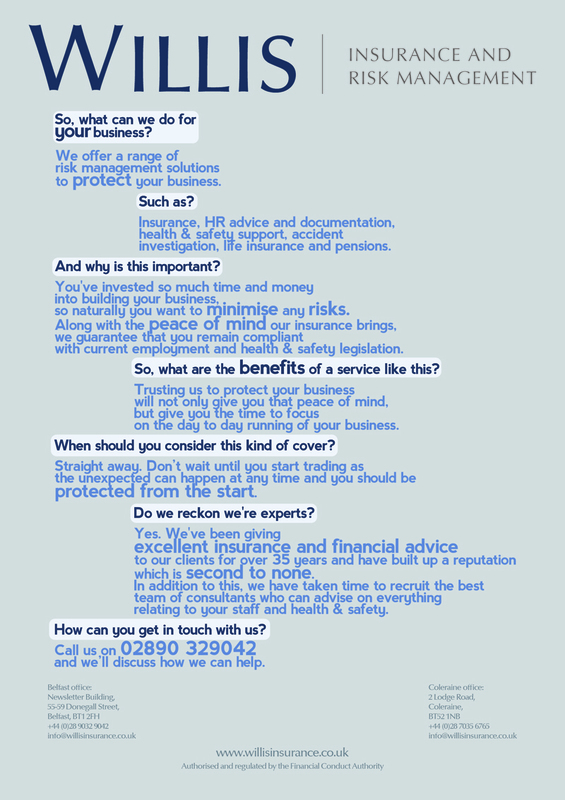 I’ve just completed work on a flyer for Willis & Company, an insurance and risk management consultancy in Belfast. The company has built up a strong reputation through the years and have just recently launched a new consultancy service for business owners. 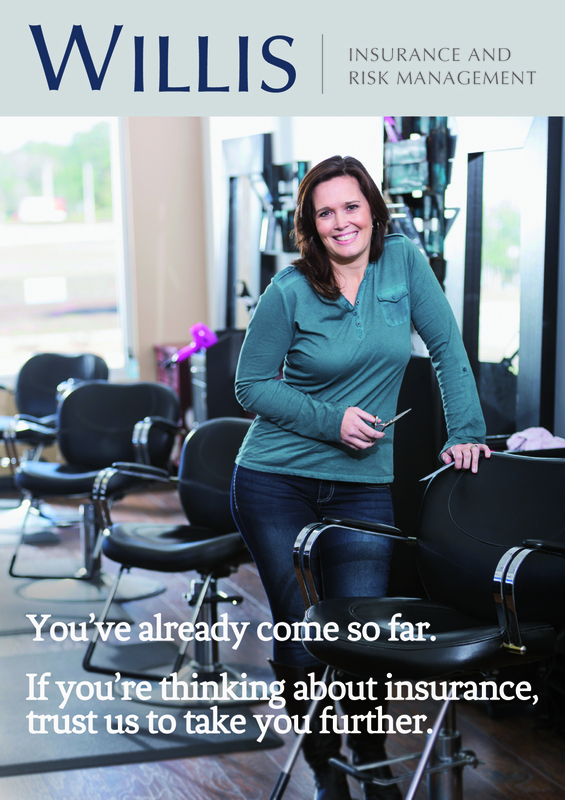 I was privileged to be asked to design the flyer to promote both this service, and the traditional ones to the market. It was important to achieve a look that demonstrated that Willis are expert, knowledgeable and trusted. I wanted the information to be accessible by everyone from a sole trader, to a small business owner, to director level at a larger company.